Mandy Thompson is a multi-talented abstract artist and an eloquent creative writer, “canvassing the depths”. 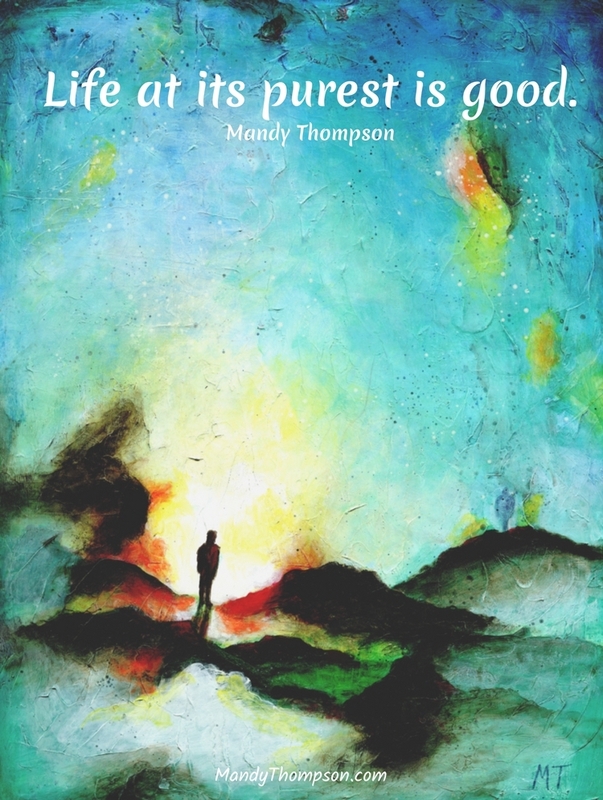 Mandy had left art behind for years, only to return to her core for healing and the creation of an artist’s life. I was birthed into an artist at the time of becoming a mother. Mandy is not only an exceptionally talented visual artist, she’s also a deep thinker expressed as an eloquent and poetic writer. I draw inspiration from the transcendence of the natural world. Her pieces… evoke an essence of freedom and are an invitation to engage in the natural beauty of life. When art speaks deeply, a connection takes place between the artist and the viewer, a conversation that stirs questions and whispers answers. What’s compelling feeling is driving and motivating her art these days. The importance of outsourcing some of your creativity. 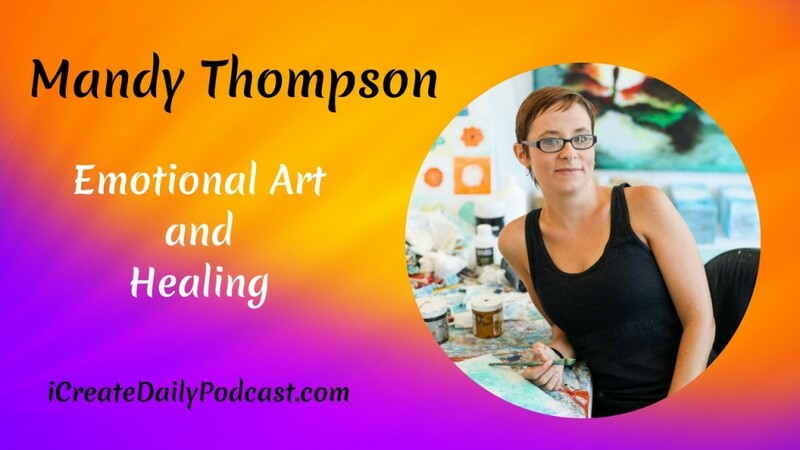 How she’s doing the Art-O-Matic as a way to connect with people all over the world. 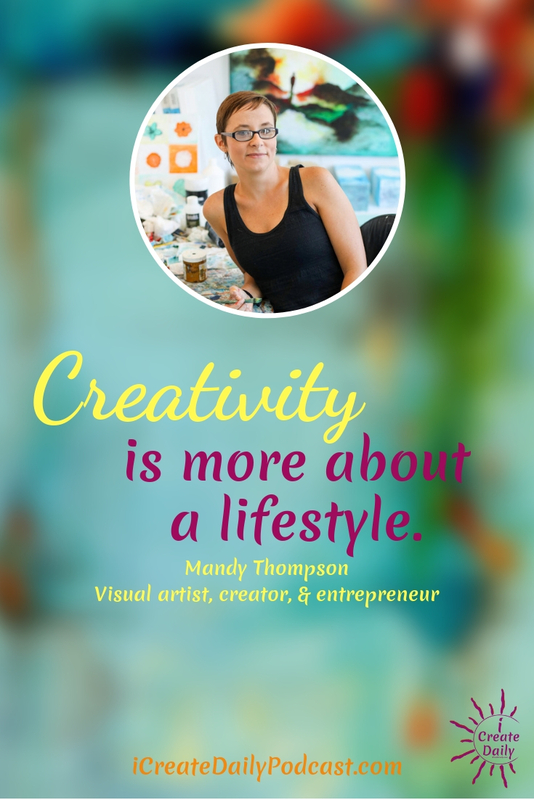 Mandy’s definition of success, and excellent success advice to artists. One very different thing Mandy is doing that virtually no one else does to grow her following by serving and connecting with her audience. We hope you enjoy listening to this podcast with Mandy as much as we enjoyed doing it! Mandy’s Painting Caption — “The More” Concept: For those moments when you feel the Presence of More. Those “thin places” that leave a hint of life beyond us. For hope and anticipation–for transcendence–for living lives that are bigger than we are. A podcast for creators serious about your art.